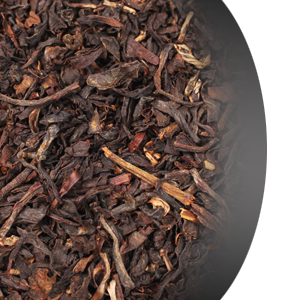 This Ceylon Whole Leaf Tea comes from a very popular garden located in the famous Kandy tea district in Sri Lanka. This Ceylon Whole Leaf Tea comes from a very popular garden located in the famous Kandy tea district in Sri Lanka. Beautiful needle shaped whole leaf tea, creates medium to full bodied cup, with a bright coppery liquor and a slight sweetish earthy flavor on the palate.